Apple TV as a platform has finally come into existence after years of everyone waiting and we are quite pleased looking at how apps have turned out. 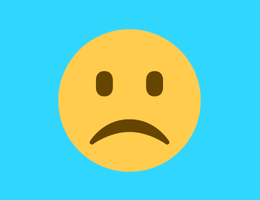 There have been big name games like Guitar Hero Live and even unexpected app releases like VSCO and Tumblr. Here are our favourite Apple TV apps and games that you need to download on your shiny new black boxes. When Apple said they were serious about games on the Apple TV, I was ecstatic when they revealed Transistor. Transistor is one of my favourite games of all time with its sublime visuals, music and deep combat system. The Apple TV version lets you use the Siri remote and play it without worrying about buying a proper dedicated controller. 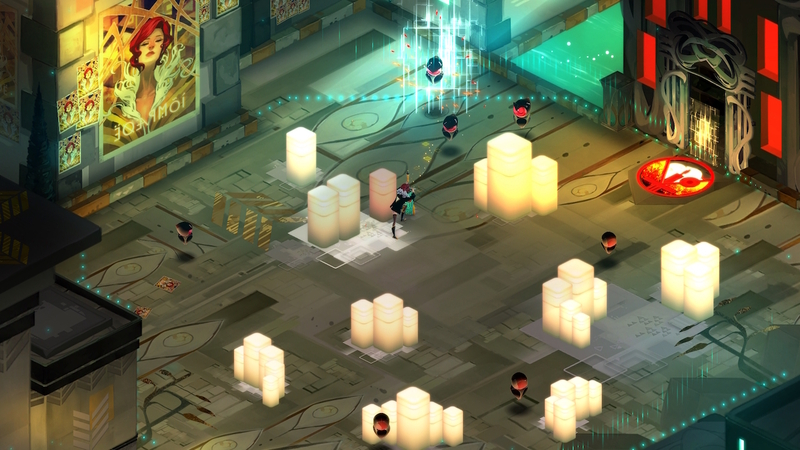 Thanks to the turn based combat option, Transistor is a great experience on Apple TV. Download the soundtrack on iTunes and buy the Universal iOS and Apple TV game on the App Store for just $2.99. Cross Road is something you have probably played for a good amount of time already. Hipster Whale created a polished experience and basically brought frogger to a modern generation of gamers with their quirky character designs. There are already plenty of games from iOS that have appeared on the Apple TV platform, but this is the one that really stands out. With Apple TV, you even get the multiplayer option now. 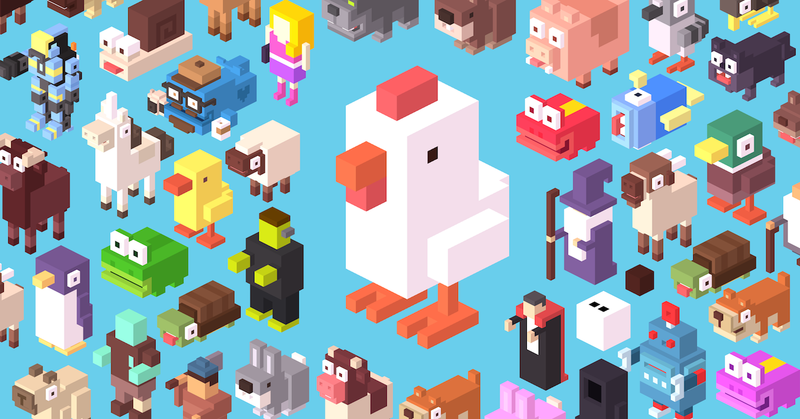 Playing Crossy Road with the Siri remote feels great. Plex is the app I had been eagerly waiting for ever since there have been rumors about Apple working on an Apple TV platform. I have been a huge fan of Plex for a long time now and love all the new things they’ve been working on lately. Plex on my Apple TV is everything I’d have hoped for, and more. Not only can I browse all media library comfortably sitting on my couch with rich meta data, it all comes alive in a beautiful UI too. If you have an Apple TV, you have to give Plex a try. Reuters TV is another fantastically crafted app for Apple TV. The app, which has been available on iOS for quite some time now and recently went free, allows anyone to catch up on news that they may have missed. 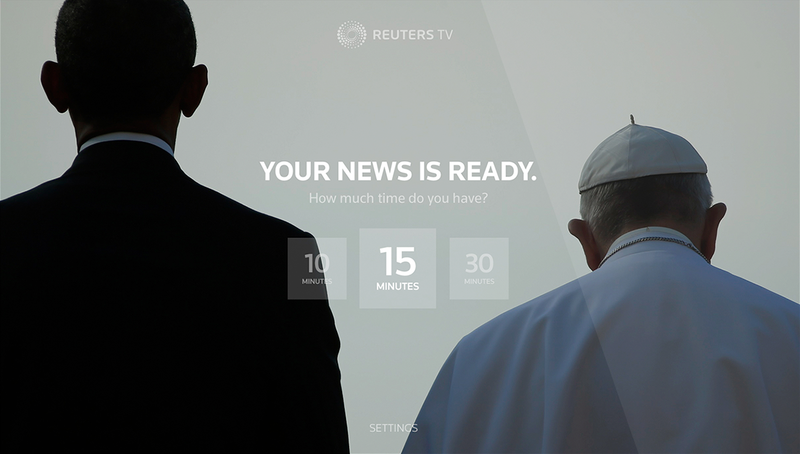 It brings videos of news portions after specifying how many minutes you’d like to watch a bulletin for. These video bulletins are bundled with great animations and transitions, so Reuters TV is an absolute joy on the Apple TV. 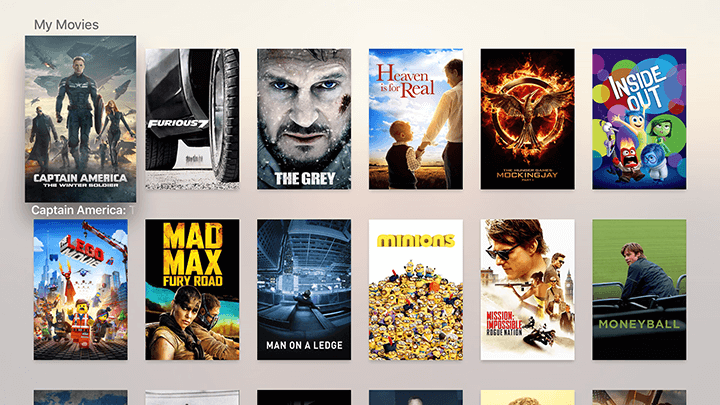 Now that the Apple TV has dedicated storage, you’d better start filling it up with movies or anime purchased outside of iTunes and what better way to view your library than Infuse? We already love the iOS app and purchasing the iOS app automatically grants you access to the Apple TV version for infuse. Infuse is available for free on the App Store whereas Infuse Pro is available for $9.99. balllin’ is a beautiful Dribbble app that is now also available for Apple TV. 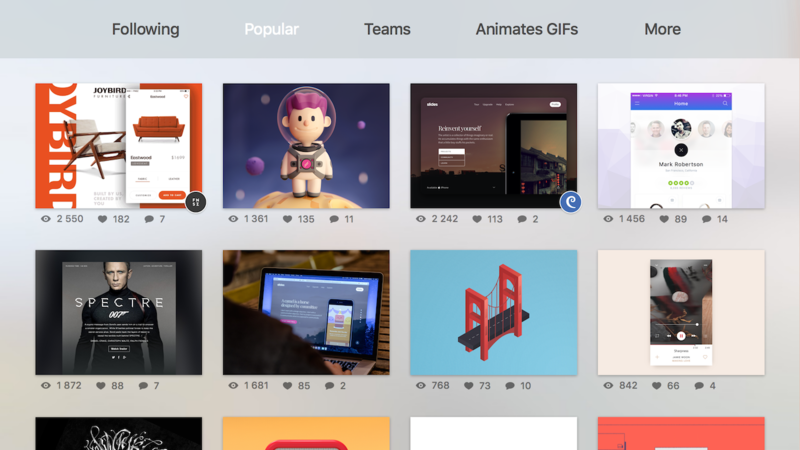 The app brings your daily dose of inspiration and allows you to browse the shots posted to Dribbble. It has a really nicely done UI and feels right at home on your TV. If you love browsing Dribbble and feel like doing that on your TV, then balllin’ is the app you want. 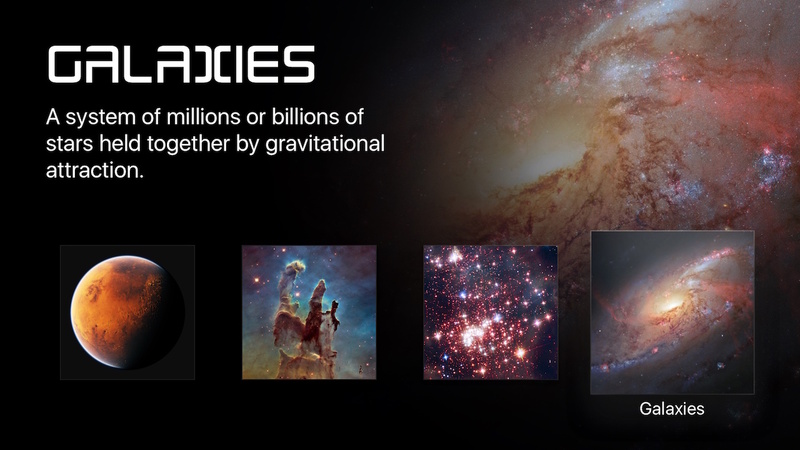 Space Telescope is the only app on our list that is exclusive to Apple TV. Space Telescope comes from the house of Taphive, the developer duo behind apps like TodoMovies, Tick and Themeboard. 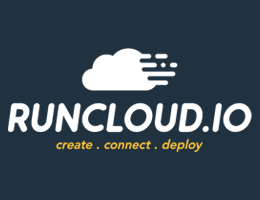 This app brings the absolutely breathtaking visuals of our universe to your TV. There is phenomenal imagery from sources like NASA, ESA and the Hubble Space Telescope backed by soothing music to leave you mesmerized. You can browse The Solar System, Nebulae, Stars and Galaxies using this app. It’s priced at $2.99 and it should be a easy decision to grab it. 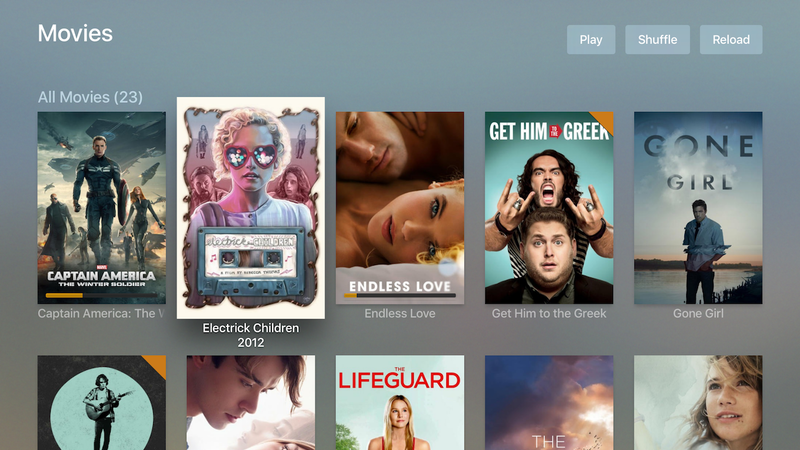 Those were our favorite Apple TV apps released in 2015 so far. Apple TV as a platform is just getting started and there’s so much more we’ll be seeing in the coming months. We have a lot more in store for you as part of The Highlight 2015 this week, including the official Editor’s Choice of 2015. Stay tuned!